September 1 through 22, 2017 marked the kick-off of the 2017-2018 TOMODACHI MetLife Women’s Leadership Program (TMWLP) in Naha, Fukuoka, Tokyo, and Osaka. This year, the first session focused on establishing a strong foundation for the one-on-one mentor-mentee relationships. 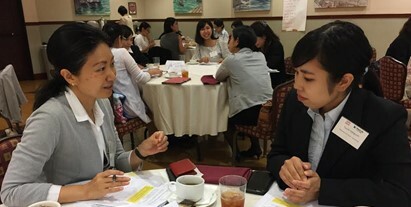 The mentoring component of TMWLP is a unique and signature feature of this 10-month program in which each of 50 Japanese women currently pursuing undergraduate degrees are paired with a mid-level career professional women working in Japan. 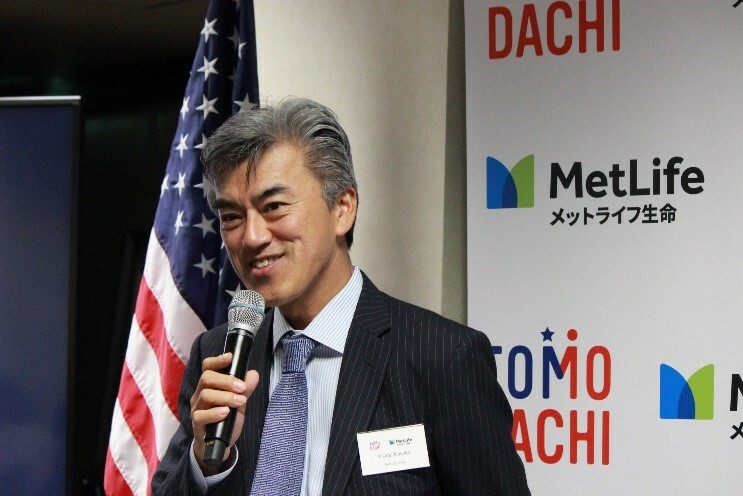 The first TMWLP sessions in each city began with welcome remarks from the program’s key stakeholders, including MetLife Japan, the U.S. Embassy and Consulates, and the TOMODACHI Initiative. After the welcome remarks and program orientation, participants underwent an intensive 2-hour workshop on the “how” of mentorship led by Janelle Sasaki, U.S.-Japan Council member and Executive Director of Diversity and Inclusion Services at Ernst and Young Advisory and Consulting Services Co., Ltd. Each mentee was seated next to their mentor and together participated in a series of exercises to get to know one another and form the basis for their mentorship relationship. This year in Fukuoka, participants were welcomed by a U.S. Embassy representative with a special relationship to TMWLP: Joy Sakurai, Principle Officer at U.S. Consulate Fukuoka. Serving as a diplomat at the U.S. Embassy in Tokyo in 2013, Sakurai played a key role in the original program design and development. In her welcome remarks to this year’s Fukuoka participants, she reflected on the initial idea of a mentorship program for women in Japan and the significant positive impact it could have on women’s advancement in the workplace. The TMWLP is currently in its fifth year and MetLife Japan’s generous commitment extends through 2021, aiming to impact 100 women each year. During subsequent sessions over the course of the next year, participants will undergo personal leadership development and financial literacy training in order to build leadership skills, promote financial empowerment, and foster a strong networking of current and future women leaders in Japan. In March, the mentees will travel to the United States to meet women leaders working in global careers, interact with American students, and participate in skill-building workshops. The capstone Annual Conference in May will present the opportunity for all 100 participants in the 2017-2018 TMWLP to come together for two days of program reflection, activities, and inspiration. As these talented women embark on their leadership journey with MetLife Japan and TOMODACHI, they will learn to harness their leadership strengths and confidently embrace leadership roles in Japan and around the world.